Well this sure helps take the sting off losing Final Fantasy XV from September. According to XSEED the continuation of one of 2015's best RPG’s will be coming to Playstation Vita’s and 3's on September 6th. 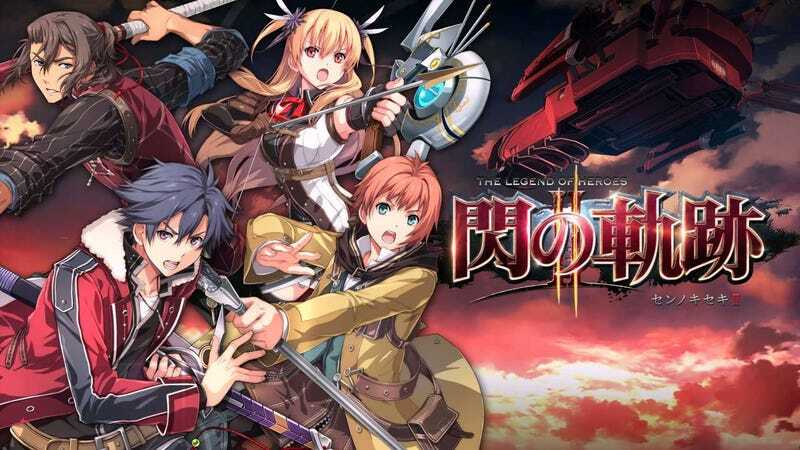 As a direct continuation of Trails of Cold Steel it’s a requirement you finish the first game. I warn you though the ending is something else. It’s strange even without XV September is shaping up to be one of the best months of the year for JRPGs. With titles like Shin Megami Tensei IV: Apocalypse, Dragon Quest VII 3D, and now of course Trails of Cold Steel II. If you’re a fan of big games on small screens watch out your wallet is about to get a whole lot lighter. Anyone else excited for the continuation of these amazing adventure? Anyone actually finished it? Let me know.